Though the actual assemblage of this dish is more akin to a tian, it delivers a pretty presentation and tastes great, too. Like most amazing things, it is excellent the next day, too. I’ve included photographs inside the recipe for putting it together. If this makes it difficult to print, let me know, and I’ll adjust it. 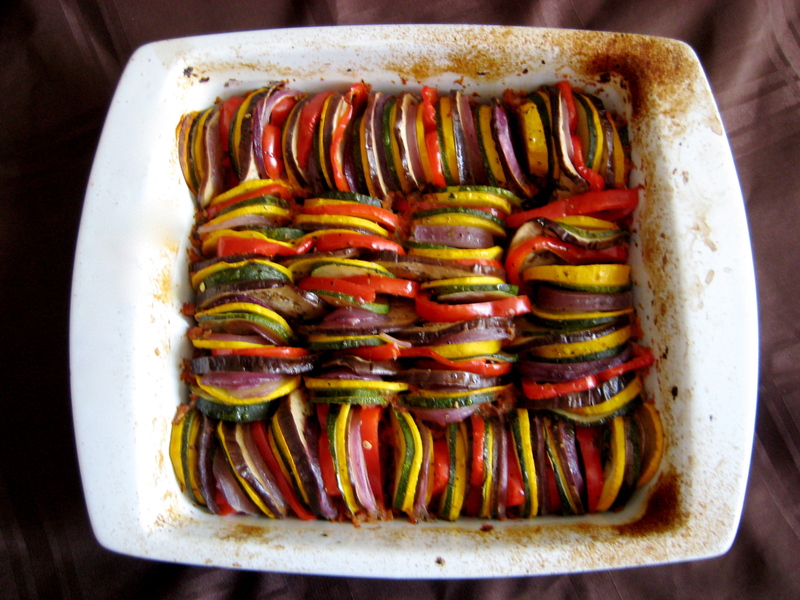 Preheat the oven to 375 degrees F. Lightly oil an 9-inch square baking dish. Put the garlic in the food processor. Pulse until finely chopped. Add the Roma tomatoes, basil, salt, pepper, and olive oil. Pulse until combined and almost pureed. Pour the mixture into a fine mesh sieve and drain the excess water. Pour the tomato mixture in the bottom of the dish. 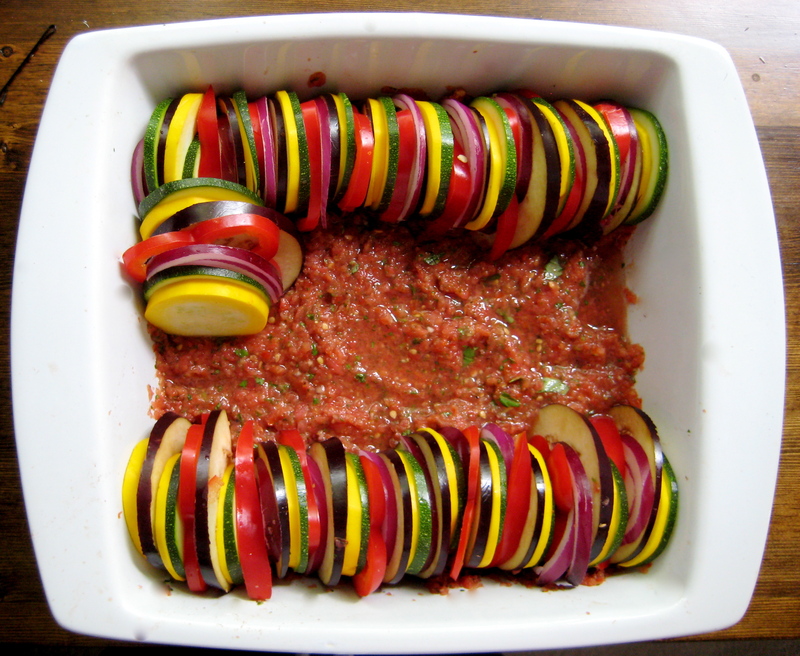 Line the eggplant, yellow and green, zucchini, onion, and red pepper upright in a pattern, starting around the perimeter of the dish and working your way to the centre. Brush with remaining olive oil. Sprinkle with salt and pepper. 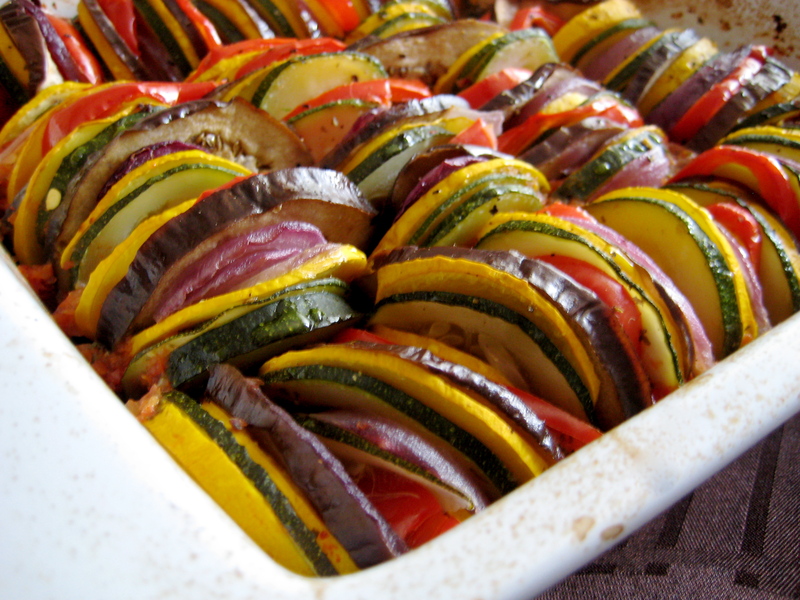 Cover the vegetables, loosely tucking into the inside of the dish with foil or parchment paper. 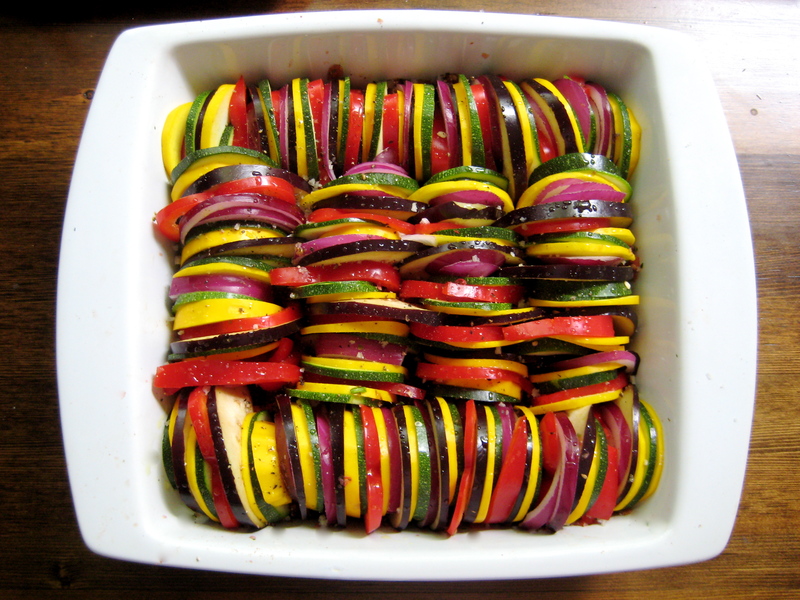 Bake for 45 to 60 minutes, until vegetables are softened but not mushy. Uncover and let cool at least 30 minutes before serving.